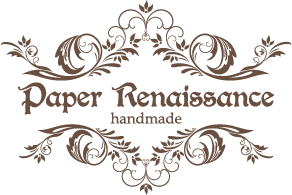 "Paper Renaissance" is comes from the Classical concept of the Renaissance era. Expressing the "Paper of Art" in a gorgeous, elegant and meticulous way. Founded in 2011 by Yvonne Lee, the brand mainly provide handcrafted paper products and greeting cards for wedding purpose with innovative and unique design in a classicism gorgeous and elegant style. In addition to custom-made products, we also provide different types of paper art workshop to let friends to make a unique art by their own. Yvonne Lee after graduating with Bachelor of Visual Communication-Graphic Design from Birmingham City University (BCU), Yvonne starts her career in graphic design, packaging design, Event Production Yvonne establish the brand - Paper Renaissance in 2011 which focus on handmade cards and wedding stationery with elaborate crafting skill by using “Paper”, as well as to spread the paper art to through her creativity works.